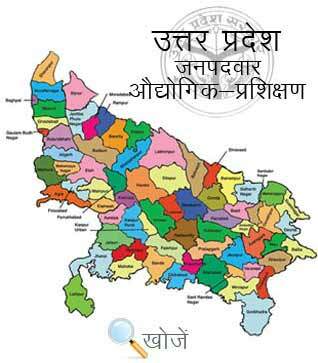 Azamgarh is a district in the state of Uttar Pradesh which is located in its eastern part. It is situated on the banks of river Tamsa between Ganga and Ghagra. The district was built by Nawab AzamShah and hence it is named as Azamgarh. The average literacy rate of the district is quite high which 70.93% in 2011 as compared to 56.95% in 2001. The district boasts various higher education colleges and institutes imparting educational as well as technical skills to the students. The prominent colleges of the district include Government Medical College located at Chakrapanpur which is affiliated to King George’s Medical University, Lucknow and Government Engineering College which has its campus at the Madan Mohan Malviya University of Technology, Gorakhpur. Apart from this the district has two Government Industrial Training Institutes (ITI’s) in Azamgarh as well namely Government Industrial Training Institute, Azamgarh and Government Training Institute Lalgang. Apart from the government, there are private technical institutes in the district as well which are Kashi Chandradev Yadav Private ITI, Hazipur and Rehman Private ITI at Daudpur. Students can enrol in various engineering as well as non engineering courses with the minimum qualification of matriculation. Vyavasayik Pareekha Parishad in the state of Uttar Pradesh is responsible for conducting the entrance examination for admission to various courses in Industrial Training Institutions. Its official site is www.vppup.in. Students can also visit http://www.upiti.in/ as well which is an education portal that offers student all the updated information about courses, downloading of the application form, examination results, admit cards , counselling dates etc to save their valuable time.